What can I say? We love and miss this sweet boy! I woke up thinking about Jake. This day will always be his. Then, I was in Brookshire's and saw green balloons and thought... "Hey Jake!" Guess who it was? JinJin and Baxter! 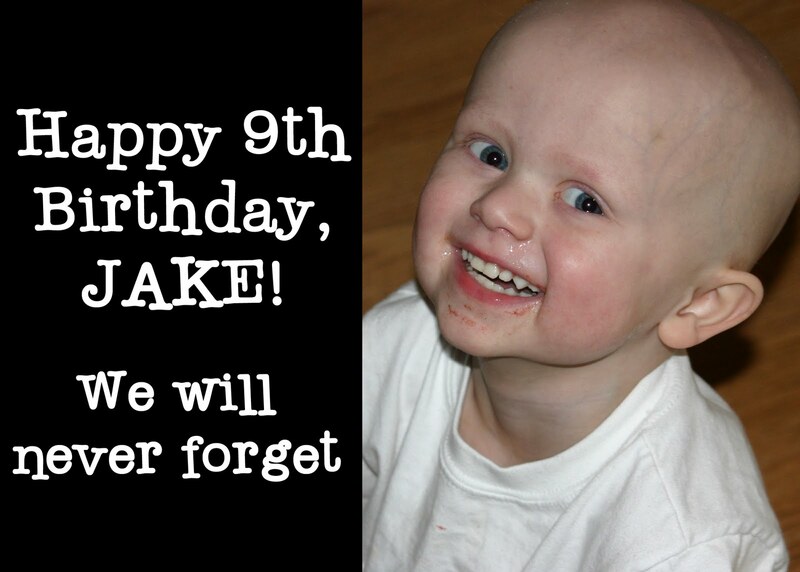 Thinking of all of you today and remembering your little man. Thinking of you and your family!! Hard to believe!! But I know that cutie patootie is smiling down on you all! Happy Birthday Jake! You will never be forgotten!! 9? where has time gone! loved that jakie poo and i don't doubt a bit that ellie sue has a little bit of jake in her - that is why she keeps you on your toes!! Awe you really know how to jerk the tears right out a me! Love that boy! Hugs from Fort Worth! I will always remember that beautiful boy - I hope your 2011 is filled with "ll" messages that will give your heart peace and joy. Happy New Year. Today my daughter pointed out the time - it was 11:11 on 1/1/11. Thought you would like that. Thinking of yall! Wow..that smile still warms my heart. Happy birthday sweet boy! Thinking of you and your family! 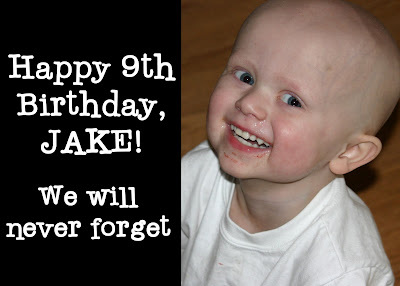 Been away from the blogworld for the holidays and wanted to chime in and say HAPPY BELATED BIRTHDAY JAKE!! Your forever imprinted on my heart!